"Instigated in 2009 by the colombian guitarist and composer Manuel Calvo Kamper. After composing enough material for one album, joined to the project Dominik Scherr / Austria (student of oboe and drums at the university of music in vienna) and Christo Popov / Bulgaria (student of clasical piano at the same university). 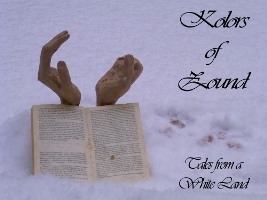 Kolors of Zound shows extremely different facets on it´s songs. The idea of the band is showing many musical styles... Sometimes song by song, sometimes on the same song." Well... I´m a composer and because of that I can not think particularly, that there´s an instrument better than the others. My instrument is the guitar and off course! I love it! I´m always finding new possibilities (sounds, melodic and harmonic movements) that help me enrich my self as an instrumentalist. But as I said... Music is made from the combination of many sounds together, and for that you need all available resources. The first one was defining my personality as a musician to be able to take the music as my profession. The second will come soon... I´ll become a father and that´s for sure gonna create an explosive change in my life. There´s so much fantastic music out there. I´ve always had addictions with artists, and I stayed listening to them for long periods. Al Dimeola, Steve Vai, Beethoven, Paco de Lucia, Dream Theater....KOLORS OF ZOUND! I can keep going with this list for days... Hehe. I like very much the gigs exchange. I never saw that on any other site. 5).If you could ask one question to the leader of your country, what would it be? Good enterview Manuel¡¡¡, My best wishes from Bogotá, Colombía. I like so much Kolors of Zound.